Chances are, no church is immune to the drug demographics in America. Pointing out that addiction is a pervasive problem in North American society, Lynn Dann provides pastors and other pastoral caregivers with crucial help in understanding the needs of the addicted, their families, and the congregations of which they are a part. He draws on years of experience as a pastor and a certified alcohol and substance abuse counselor to offer practical guidance on how to recognize the addicted and minister effectively to them. Dann begins by outlining, in clear and accessible terms, the best contemporary thinking on the nature of addiction. From there he moves to a discussion of the particular resources that Christian churches can add to the treatment of addiction and the support of the addicted and their families. Finally, he includes tools for preaching and teaching on the nature of our drug-obsessed culture and biblical themes related to the care of the addicted. 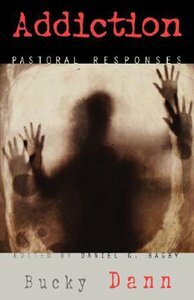 Those who are just beginning in pastoral ministry, as well as those who have engaged in it for many years, will find this an invaluable resource for knowing how to deal with this tragic and increasingly prevalent problem. Bucky Dann is Instructor of Sociology at Southwestern Community College in Sylvia, North Carolina.